It is a place where students can realize their potential in ways that they planned and perhaps in ways that they never imagined. Australia is a dynamic, vibrant country. Its people are energetic, friendly and confident. When you study in Australia, you discover fresh challenges and develop skills in a supportive learning environment. You excel as person, as well as academically. Australia’s education institutions will challenge and reward you academically, personally, and professionally. They offer a stimulating environment for students from around the world to gain valuable skills, experiences and qualifications. In Australia International students experience a unique kind of education- a learning style that encourages innovative, creative and independent thinking. International students build valuable skills, which gives them an advantage academically personally and professionally. Australia has a seemingly limitless array of education and training opportunities. International students can choose from a vast range of courses with a vocational orientation. Each of Australia’s institutions has its own strengths and areas of specialization, which gives international students a wide choice and access to the latest technology and research in their chosen field. The most popular courses amongst Pakistani students are Business, Information Technology, Engineering, Science and Hospitality. But, Australia offers much more to explore. Australian institutions place great importance on developing the ability of students to think creatively and independently, read widely and critically, participates in debate and function as part of a team. Such skills are in demand from employers and so an Australian education qualification gives international students an edge in a competitive world. Australia has three distinct education sectors- a school sector, which provides technical skills after post secondary schooling and a higher education sectors, which provides post senior secondary qualifications. These three distinct sectors are well linked together through Australia’s unique qualifications frame work. The Pakistani and Australian education systems are very similar in structure, i.e 10+2+3. Yet they are distinct in their teaching-learning process. In Australia, Students take a much more active role in the learning process. Australian institutions place great importance on developing the ability of students to think creatively and independently, read widely and critically participate in debate and function as part of a team. Such skills are in demand from employers and so an Australian educational qualification gives international students an edge in a competitive students an edge in as a competitive world. Australia enjoys one of the highest standards of living in the world but its living costs and student fees have a competitive edge over other countries. The internationally respected Economic intelligence unit ranks Australia 12th out of 31 countries for the cost of doing business environment flows through to the cost of living and costs of providing education and training services. As a result, Australia has built a world-wide reputation for excellence based on its high quality systems of education and training delivered at comparably lower costs. But this lower cost does not reflect a corresponding diminution of quality. Research shows that the average cost of completing a Bachelors Degree in business was nearly 54%less than a private university in the United States of America while the cost of completing a Masters Degree in business was nearly 44% less than in the United States of America. Excellent communication and transport facilities, cosmopolitan shopping complexes and excellent health facilities makes Australia a pleasant living place with one of the world’s best environments, Australia is the place to study. Australian Education Institutions offers an exciting range of courses at the diploma, undergraduate and post graduate level. All courses offered to International students have a CRICOS number as a signifier of Australian and Quality control In addition all professional degrees like Engineering, Information Technology, and Accounting are also accredited by the respective professional bodies like Engineers Australia, Australian computer society and CPA Australia. As a student you are legally permitted to work 20 hours a week during semester and full time during vacation. It can be on-campus or off-campus. After enrolling at the institution in Australia you will have to apply for a work permit to DIMIA with a letter from your institute as proof of enrolment. Casual work may not be relevant to your course but will sharpen your soft skills. Working is a great experience but don’t rely on it for additional income. It’s also very important to balance work and study. As there are no grading/rating of universities, students are advised to go through the program structure and course content. Reputations are built over a long period and universities are known for their specific faculties. Make an application to the institution of choice through Eclat-International. The institution will make an offer of admission based on qualifications after assessing the application. Submit a Pre Visa Assessment (PVA) application to the Immigration Section of the Australian High Commission through Eclat-International. For admission into any level of programs, IELTS is required for admission and for visa purpose as well. 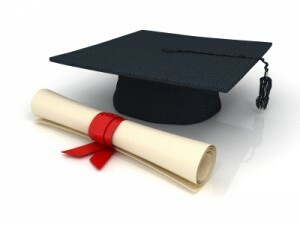 For Master’s level programs in Sciences, Engineering and Education this is the only requirement. Unlike the US, a score in GRE is not required. At the same time, some universities prefer applicants with a GRE score. However, for admission into MBA programs, decent GMAT score, in addition to IELTS and relevant work experience of at least 2-3 years is required along with good academic background. Eclat-International provides wide range of services for studying in Australia. For information on our Visa service and other services, click here.. Contact our helpline for further assistance. Following documents are required applying for Australian study visa. Evidence of retirement income such as letter from the company at the time of retirement stating amount of pension, and recent bank statement showing credit of pension to account. Outstanding stuff, guy! What you have to say is really crucial and Im glad you took the time to reveal it. What you mentioned genuinely spoke to me and I hope which i can understand far more about this. Thanks for sharing your opinion. I’m yet to find anything at all as enlightening as this around the net. Have you actually believed about adding slightly little additional than just your views? I imply, what you say is important and everything. But its acquired no punch, no pop! Perhaps in case you additional a pic or two, a video? You could potentially have this kind of a additional powerful weblog should you let folks SEE what youre referring to as opposed to just reading through it. Our dilemma is this: were limited to roughly seven full days of sightseeing/travel (Sat thru Fri) and are having trouble fitting both Big Sur and Redwoods into the agenda without wearing ourselves out from too much car time. The northern redwood groves (and preferably the cool climate ones) are a real draw for us in that we want our kids to experience the same cathedral like feeling that we did several years ago when we visited the Jedidiah Smith Redwoods SP and Lady Bird Johnson Grove near Orick. This is my first post on this website and all i can say is thank you for all these useful information! If you allow, I would like to use some of your content. I write articles for article directories as my part time job. I am willing to refernce your site in these articles. Kindly get back to me via email ASAP. Impressive place of duty – I’ve been struggling with this on behalf of roughly era and it’s impressive to go with this in a row. That is fantastic announcement. Thank you for discussing them with you! Also, it is a crazy idea to think we can visit 4-5 wineries driving up from Sonoma to Healdsburg in one day, then do a hot air balloon tour and stop at a few Napa wineries on the second day?